How to convert Ikegami MXF for FCP X? 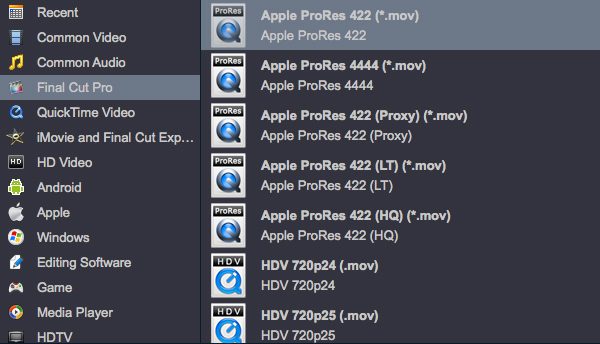 Apple ProRes MOV is a good format for Final Cut Pro (FCP X, FCP 7, FCP 6, FCP 10.1) editing, so we can convert Ikegami MPEG-2 MXF to ProRes MOV for FCP on Mac. 1: Add Ikegami MXF into this program. 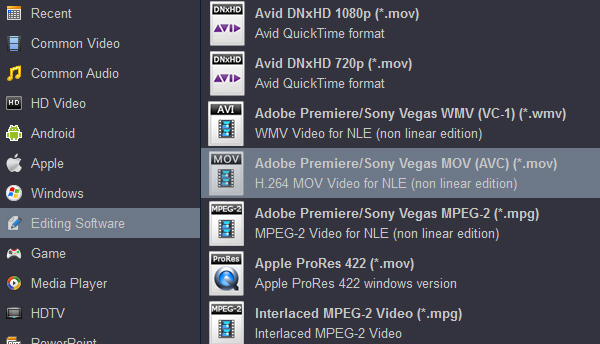 2: Choose Apple ProRes MOV as output video format. 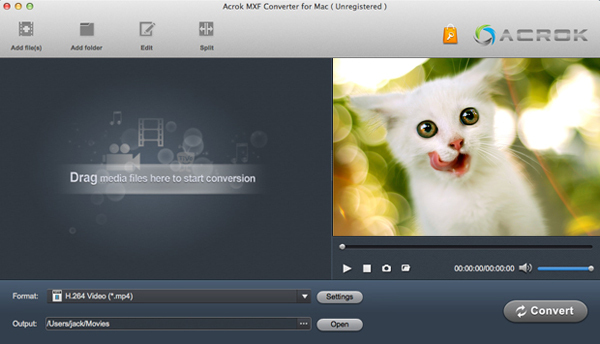 3: Click convert button to start Ikegami MXF to FCP X MOV conversion on Mac. How to import Ikegami MXF into iMovie? 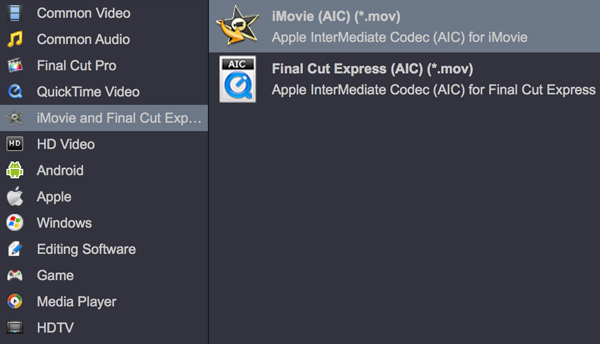 For editing Ikegami MXF files in iMovie 13/11/9/7, you need to convert Ikegami MXF to Apple Intermediate Codec MOV. Ikegami MXF to iMovie Converter will give you a hand. 1: Load Ikegami MXF from camcorder or computer. 2: Move your Mouse to format bar, choose iMovie Video (AVI) MOV as output format. How to convert Ikegami MXF for Premiere Pro CS5/CS6/CC? Adobe Premiere Pro supported MPEG-2 MPG/H.264 MOV/WMV-3 WMV well, so we can convert Ikegami MXF to MPG/MOV/WMV for Premiere Pro CC, CS4, CS5, CS5.5 and CS6. 1: Import Ikegami MXF into Ikegami MXF Converter. 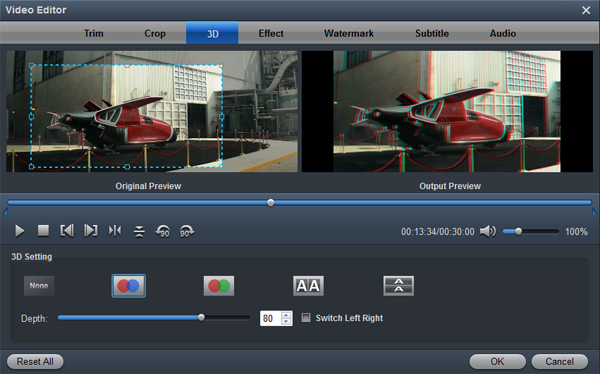 2: Click format bar to choose Premiere Pro best video format under "Editing Software" category. 3: Start Ikegami MXF to Premiere Pro conversion on Mac or Windows. Tip : If you want to change the output format parameters, simply click the Settings button. In the pop-up window, you can customize the video resolution, frame rate, bit rate, encoder and more. For trining the Ikegami MXF video, you can click "Edit" icon to do the job. If you like playing Ikegami footage on HDTV/Smart TV, Ikegami Video Converter can help you convert Ikegami MXF to your TV supported video format with height quality. I recently used Acrok MXF Converter for Mac I way very well surprised to see how perfect the program was conceived and how fast the conversion are made.